Our research team (including Dr Amanda Ullman, Tricia Kleidon, Prof Marie Cooke and Prof Claire Rickard) was just awarded a grant from the Association for Vascular Access (AVA) Foundation for $49,414 USD (i.e. $62,848 AUD) for our project: Development of the Paediatric Michigan Appropriateness Guide for Intravenous Catheters (mini-MAGIC). This is a collaborative project with Dr Vineet Chopra and the University of Michigan, which aims to provide healthcare professionals with an evidence and expert-based criteria for the selection of vascular access devices (VADs) in paediatrics across Australia and the United States. Currently, no standardised decision-making process exists for the selection of VADs in paediatric patients. As a result, the uncoordinated approach to VAD decision making often leads to inappropriate devices being inserted, thus increasing the risk of patient harm and inefficient treatment outcomes. This guide will drastically change national and international VAD decision-making practice, to prevent harm for this vulnerable population. This is the first time this grant has been awarded outside the United States. Development of a core dataset for a paediatric vascular access clinical, quality registry. A single, open access platform which facilitates the collection, feedback and national comparison of vascular access data does not exist. In paediatrics we aim to develop a vascular access minimum dataset for use in a national, paediatric, vascular access registry. This data set will comprise core vascular access outcomes and quality indicators, incorporate expert, clinician and user feedback, whilst harmonising local databases. We will use a scoping review methodology, stakeholder interviews and an ‘e’ Delphi to achieve our aim. This work is supported by a large and experienced group of vascular access researchers and clinicians including Prof Claire Rickard, Dr Amanda Ullman and Tricia Kleidon. It will also complement work being undertaken in the adult population by Nicole Gavin and team. 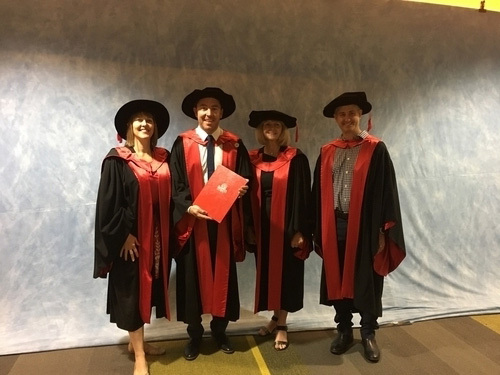 AVATAR's WA State lead Pete Carr graduated from Griffith University last December. Here he is pictured with his supervision team Prof Claire Rickard, Prof Marie Cooke and Dr Niall Higgins. His thesis on reducing complications with peripheral intravenous catheters will result in some fruitful postdoctoral research. Best of luck Dr Carr. 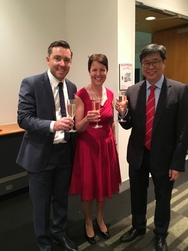 He was in good company graduating with Dr Nancy Moureau (awarded earlier in 2017) and they are pictured here raising a well-earned celebratory glass with Griffith University Dean of Health Research Prof David Shum. Australia & New Zealand Intensive Care Society ASM, Gold Coast, for ‘Safe duration of IV administration set use: An RCT’. 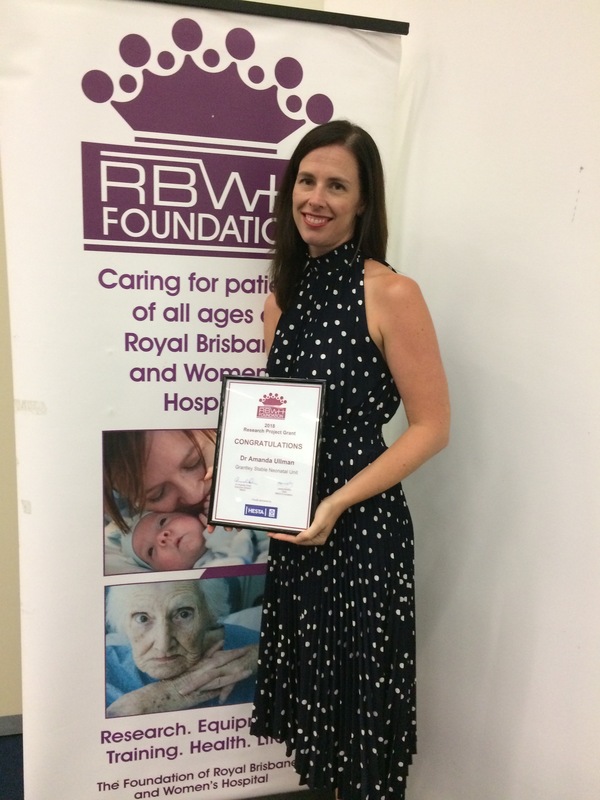 Dr Amanda Ullman was successful in the Royal Brisbane and Women’s Hospital and RBWH Foundation 2018 Research Project Grant. 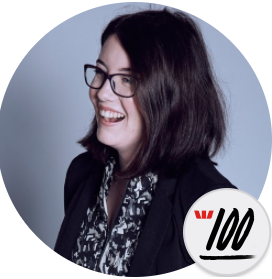 Ally Hawthorn is a Biomedical Science Honours Graduate who worked as a Research Assistant on preclinical flushing studies with A/ Prof Andrew Bulmer and Prof Samantha Keogh within AVATAR at Griffith University and QUT. The scholarship will support Ally’s Master of Nursing Science studies at the University of Adelaide for the next 2 years and allow her to attend international conferences and conduct ongoing research as part of her studies. Ally is keen to ultimately combine her Science and Clinical studies and knowledge and apply it to essential vascular access research to inform best practice. The key successful components of the QI were revealed through the case study analysis as: (1) an appropriately skilled project manager to facilitate the implementation process; (2) tools to support changes in workflow and decision making including a bleeding management treatment algorithm with POCCTs; (3) strong clinical leadership from the multidisciplinary team and; (4) the evolution of the project manager position into a perpetual clinical position to support sustainability. Cooke M, Ullman A, Ray-Barruel G, Wallis M, Corley A, Rickard CM. Not “just” an IV: Consumer perspectives on peripheral intravenous cannulation. An international cross-sectional survey. PLOS ONE. 2018. Feb 28. https://doi.org/10.1371/journal.pone.019343. This survey confirms that PIVC insertion, maintenance and removal can be a painful, concerning, and stressful experience for consumers, and one which they feel needs to be improved and align with best practice guidelines for PIVC insertion and care. The results highlight the importance of providing appropriately educated and trained vascular access clinicians to ensure best practice and high quality care. Children and older consumers report a worse PIVC experience than younger adults. Specific strategies to improve the consumer experience of PIVC insertion and care include: pain relief for PIVC insertion as standard practice; decisionmaking tools which include patient preference in PIVC site selection; and PIVC daily assessment tools which encourage patient input. Consumer engagement is important to improving outcomes and providing person-centred evidence-based care. Future practice, research and translation of research should focus on outcomes and strategies important to consumers and on ways to improve their participation and engagement in care: listening to them and taking action to minimise pain, complications and repeated attempts would be a good first step. Gavin N, Button E, Castillo MI, Ray-Barruel G, Keogh S, McMillan D, Rickard CM. Does a dedicated lumen for parenteral nutrition administration reduce the risk of catheter-related bloodstream infections? A systematic literature review. Journal of Infusion Nursing. 2018. Mar/Apr 41(2):122-130. Guidelines recommend using single-lumen central vascular access devices (CVADs) for the administration of parenteral nutrition (PN) or lipid-based solutions, or a dedicated lumen on a multilumen CVAD. Publications reviewed by the authors reported comparative rates of catheter-related bloodstream infection (CR-BSI) in patients with CVADs who received PN through a dedicated lumen compared with those who had PN administered through multilumen CVADs. Two studies included 650 patients with 1349 CVADs. CR-BSIs were equally distributed between the 2 groups. Both studies were poorly reported and had significant risk of bias. These results should be interpreted with caution. All-in-one PN and IVFE support the C. albicans growth after minimal initial contamination, with micro-organisms migrating from the fluid bag to the central venous access device. Improved aseptic nontouch technique during clinical practice is vital to prevent contamination. Daily IVAS replacement of for all-in-one PN and IVFE should continue until the safety of prolonging IVAS replacement is confirmed by randomized trials. BioFlo® PICCs appear potentially safer for pediatrics than traditional standard care PICCs with a clamp. Further research is required to definitively identify clinical, cost-effective methods to prevent PICC failure and improve reliability. Marsh N, Webster J, Larsen E, Cooke M, Mihala G, Rickard CM. Observational study of peripheral intravenous catheter outcomes in adult hospitalised patients - a multivariable analysis of peripheral catheter failure. Journal of Hospital Medicine. February, 2018;13(2):83-89. Modifiable risk factors should inform education and inserter skill development to reduce the currently high rate of PIV failure.